Based in Gloucestershire and started team chasing many years ago with Tony Pellet and The Beaufort Bluffers then rode for Paul Browse (Tangos) and Andrew Shipley (Knightly Hatters) until she formed her own team – Lycetts; A Class Act. Charlotte will also help Fred French out and ride with the Boring Gorings if she has a spare horse. Hunts with the Beaufort, Events and Point to Pointed until recently. 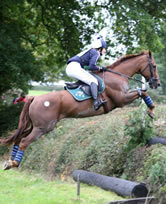 Works for the sponsor Lycetts in the Marlborough office specialising in Bloodstock Insurance. Earthmover the ex National Hunt star was her best horse to date, but now bringing on other National Hunt horses to do the job. Lives in Gloucestershire with her Husband Hugh and son Charlie. She is very lucky that Hugh loves fishing and Charlie is not interested in horses, so with a great support team she can Team Chase. (This is on the premise that they don't come and help or watch! But do come to the Cotswold TC.) She can't remember how long she has ridden at Open level, as this will show my age. She has been very fortunate in having ridden with George and Richard Boring and the fabulous Fred French and John Perry in the Boring Gorings. She is a founder member of the Lycetts Team. 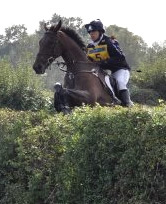 In her spare time she is busy with her 4 horses and is a member of the VWH Riding Club, she hunts with the Cotswold along with working full time as a Key Account Manager selling training courses to vets full-time. Andrew is from Northamptonshire. He has been open team chasing for 20 years before riding for Lycetts (is a founder member) he rode for Pytchley Knights & The Joules Knightly Hatters. As a child he attend all the pony club events and hunted with the Pytchley. His other passion apart from team chasing is running. He completed his first Marathon (London) this year and entered for his second in October. He work's in his family's construction business. His star ride is the fabulous Culpepper's Dish (Pepper) who has lead the Lycetts team round to earn many a rosette. Pepper was one of the best horses in Team Chasing and everyone knows him. Joe started team chasing four years ago with the Happy Hackers and joined the Lycetts team a couple of years ago. As far as team chasing is concerned Joe cannot get enough of it. He lives in Worcestershire and in his spare time is a jockey (National Hunt). Joe's full time job is driving lorries at night in order earn the $ and will ride difficult horses and youngsters for people. He is engaged to Sophie Candy who is forever helpful to the whole team. Lucy has been team chasing for more years than she likes to admit to (twenty years and counting!) 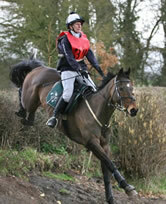 and has ridden with a number of open teams such as the Madhatters, Knightly Hatters, Cunning Stunts and now Lycetts. Lucy lives in Buckinghamshire (very convenient for most of the team chases) and works in IT, mainly using SharePoint, web design using Kentico CMS. Working in the IT business allows a fair degree of home working which is ideal for making the most of the daylight hours in winter in order to keep the horses fit. Lucy's long suffering partner Andy can also be found at team chases ably assisting with the horses and keeping everyone sane. Based near Newbury, previously a 3 goal polo player, Ed represented England in Under 18, 21 and mixed squad Test matches, along with playing medium and high goal polo until an injury sustained in the 2010 Gold Cup at Cowdray prevented him playing again. Since 2010 Ed has been amateur whip for the Tedworth Foxhounds and last season started training Point to Pointers, with Boardwalk Empire notching up Ed's first win at Larkhill in January 2013. 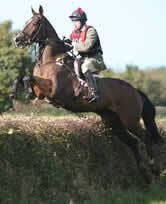 Ed fits his hunting and riding around working for his family business Williamson Tea. This will be Ed's first season Team Chasing and riding for the Lycetts team. Hayley deserves a mention as she comes and helps (mainly Charlotte) but ends up helping the whole team with their horses. An amazing supporter who drives all round the country to each event from Newmarket. Lycetts Insurance Brokers where the Bloodstock division specialises in the insurance of racing and breeding stock, stud farms, training stables and associated liability. Lycetts insures everything from Farms and Estates to Racecourses.